AL-HODAYDA(YEMEN), March 30, 2015 (Xinhua) -- Chinese citizens wait to get on the a navy frigate to leave Yemen, in the al-Hodayda port in western Yemen, on March 30, 2015. 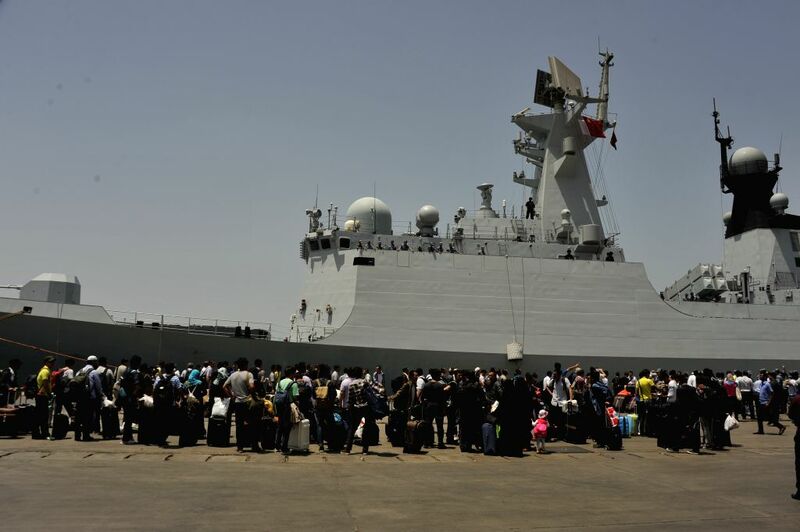 Four hundred and forty-nine Chinese nationals left the Yemeni coastal city of Al-Hodayda on Monday aboard a Chinese navy frigate. On Sunday, 122 other Chinese nationals were evacuated from the Yemeni city of Aden and have already arrived in Djibouti.